We round up the latest Liverpool news and transfer rumours on Friday, as focus switches to Monday’s trip to West Ham. The boss in positive spirits at Melwood. “It says a bit more about the other person”. Another auxiliary right-back against West Ham looks likely. Is the spending starting to finally slow down? A devilish strike pairing has been created in the Academy. 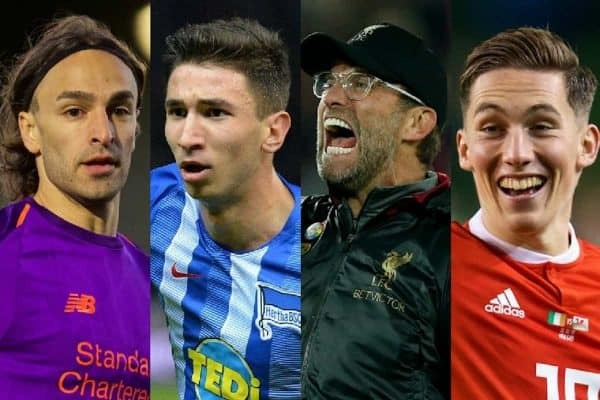 A comprehensive roundup of the Reds’ January business. Big tests for Liverpool & Man City, key relegation battles. 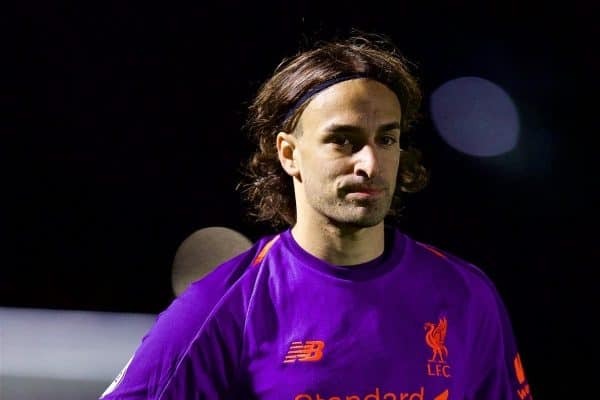 Lazar Markovic‘s Liverpool career has come to an end at long last, with the forward joining Fulham at the eleventh hour on deadline day. It has been reported that the Reds will save a total of £1.7 million for the sale of the 24-year-old, in fees and wages. “Previous transfers did not work out and we were not responsible for that. He can go to Fulham and show his potential again. 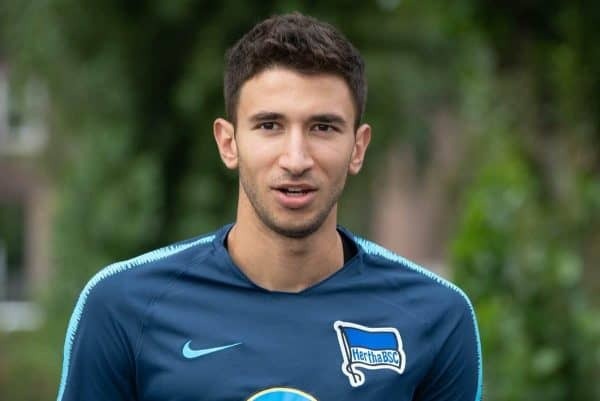 Marko Grujic is thriving at Hertha Berlin this season, earning many plaudits and finishing off a superb team goal against Schalke last Friday. “He congratulates me every time I score. It sums up Klopp’s man management skills that he is paying such close attention to those players out on loan. 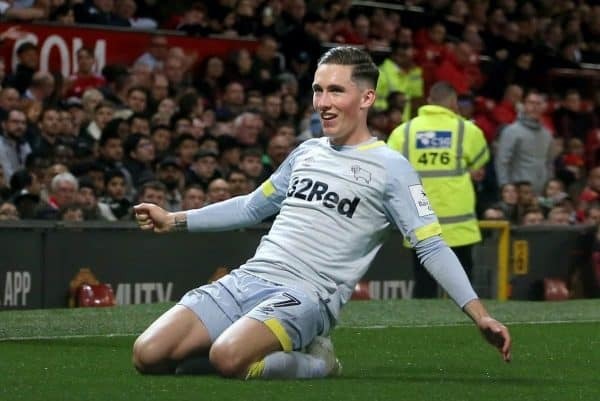 Harry Wilson has been one of the Championship’s outstanding players this season, starring for Derby County and scoring an array of spectacular goals. It wasn’t always such happy times for the youngster, however, with Liverpool’s Academy director Alex Inglethorpe explaining that a failed spell at Crewe Alexandra in 2015 inspired him to improve. 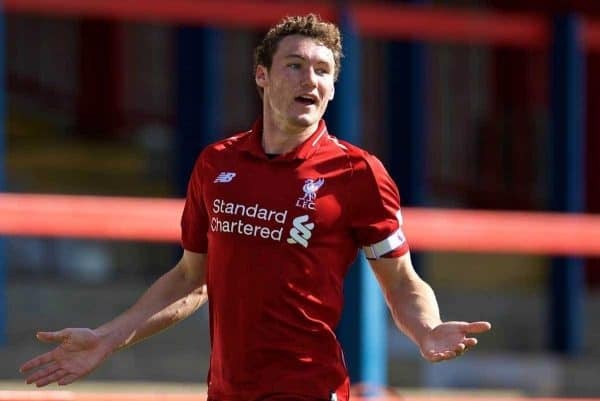 “He had a dismal time there and if you speak to Harry now, his evaluation of that experience is fantastic because I think what it did was give him a bit of an epiphany of what was needed,” Inglethorpe told Liverpoolfc.com. “I think he thought it was probably going to be easier than it was. There weren’t many bumps in the road up to that point and I think [the time at] Crewe probably robbed him of confidence. “But I think he grew up. He came back different, he came back with his eyes far wider in terms of being open to suggestions about what he needed to work on. 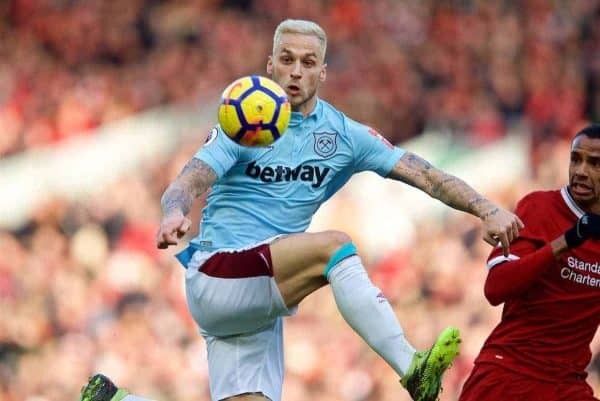 Manuel Pellegrini is preparing for West Ham‘s clash with Liverpool on Monday, but there is doubt surrounding key man Marko Arnautovic’s involvement. “We are not sure about Marko. We need to see the development and the pain in his foot. We have 72 hours more to see if he will be able to play. “It’s more a question for the doctor. We will see on Saturday and if he can kick the ball. The Hammers sit 12th in the Premier League ahead of the visit of the Reds and will be looking to bounce back from Tuesday’s 3-0 defeat at Wolves. Matty Virtue signed a two-and-a-half year deal with League 1 side Blackpool on Thursday, having captained Liverpool’s U23s previously. “I’m very happy to finally get it over the line and get it done. It’s something I’ve known about for a month or so and I’m happy to be here and can’t wait to get started. A box-to-box midfielder, it will be interesting to follow Virtue’s progress, as he hopes to inspire Blackpool into the playoff positions come May.